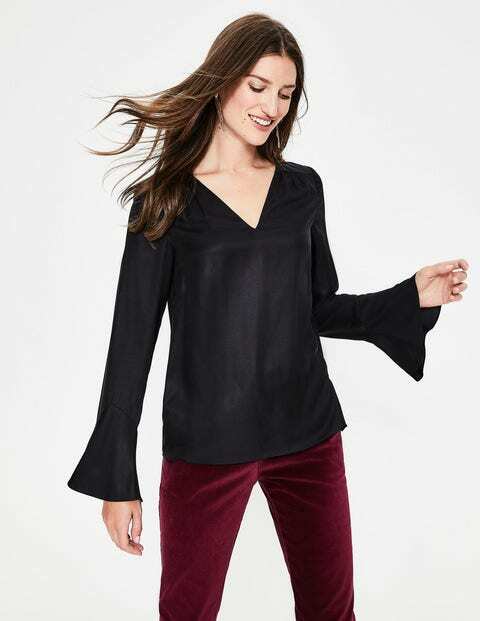 You told us you LOVED our drapey silk-blend fabric, so we took the hint and designed this striking V-neck top. With its relaxed fit and dramatic fluted sleeves, it was made to be swooshed and swirled. It's going to be friends with just about everything in your wardrobe too: trousers, jeans, skirts, your favourite dangly earrings... Time to get everyone acquainted.